The Parks Foundation of Miami-Dade has received a five-year, $1.8 million grant from the Children’s Trust (TCT), which will support the expansion of the existing, year-round Fit2Lead Youth Development and Internship program to provide at-risk teens with career development skills and match them with employment opportunities at local businesses in the Goulds, Perrine, and Richmond Heights areas. A national model for park-based programs, Miami-Dade County Parks, Recreation, and Open Spaces Department’s own Fit2Lead is designed to provide structure and stability to at-risk youth. The grant will promote year-long academic support, social-emotional learning, and skill-building in job coaching, the arts, sports, and college readiness for 50 high-need youth, grades 9-12, in the county’s Goulds, Perrine, and Richmond Heights areas. Participants will be referred by Miami-Dade County’s Juvenile Services Department, local school counselors and park staff within the community. Youth will be matched with local businesses and community organizations, and given a part-time job for the duration of the program. The goal is that community partners mentor and encourage participants toward future careers and invest in the sustainability of the program. Participants will be hired and paid through the Parks Foundation and will be matched to a business, based on their expressed interest. The grant requires that the interns work no more than 10 hours per week and may not exceed 265 hours during the calendar year. The TCT Fit2Lead Youth Development and Internship Program aim to foster positive youth trajectories that will reduce juvenile delinquency and arrests, improve attendance and conduct at school, and increase graduation rates; through effective, preventative case management, and the utilization of community intervention and treatment opportunities. For more information about Fit2Lead, visit the web page or email Eric Hansen at [email protected]. Hurricane season is here. 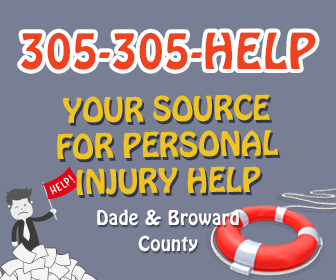 Miami-Dade County advises everyone to be sure to plan and prepare ahead of time. For an official 2018 Hurricane Readiness Guide visit the web page. Now is the time to sign up to receive Miami-Dade Alerts to get emergency information and marina and transit alerts by text message.